Aesthetic experience, in its many cultural manifestations, such as music and the arts, is central to learning processes in and out of educational institutions, and beyond education. 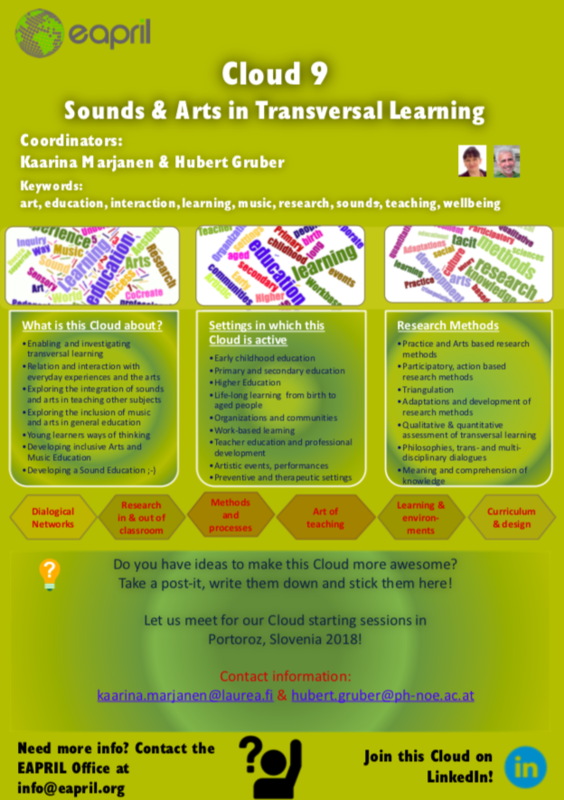 The first topic of this cloud thus deals with the role of sensory experience in learning processes, from the consideration of cultural, historical and sociological viewpoints, considering aspects of human development and the connections of evolution, culture and behavior. Sonic arts are an extensive and complex phenomenon to benefit learning, in particular in integration with language, visual arts, or other forms of artistic and creative practices. From a sonic-musical perspective, sound-based approaches such as sonification, new means of representation and expression and new and unique insights into “natural” and “artificial” phenomena are opened. An important topic of this cloud is to foster innovations from the potential of aesthetic experience and artistic expression, building on the power of subjects and disciplinary expertise to enable transdisciplinary practice. The interchange between traditional and new information and communication technology inspires new groundbreaking learning environments towards the future. Arts- and design based research provides relevant methodical approaches to investigate aesthetic experiences towards educational and instructional contexts, and through integrated settings in music, the arts and beyond. The rich traditions of practitioner-research establish co-ownership and identification. Dialogues with the creative R&D community, stakeholders and educational institutions bring together diverse approaches, disciplines and methodologies under shared interests. Music and the arts as situated creative engagement, with immediate engaging qualities, create the core for artistic-cultural learning, to contribute to professional expertise, identity and the ability of “being present“. 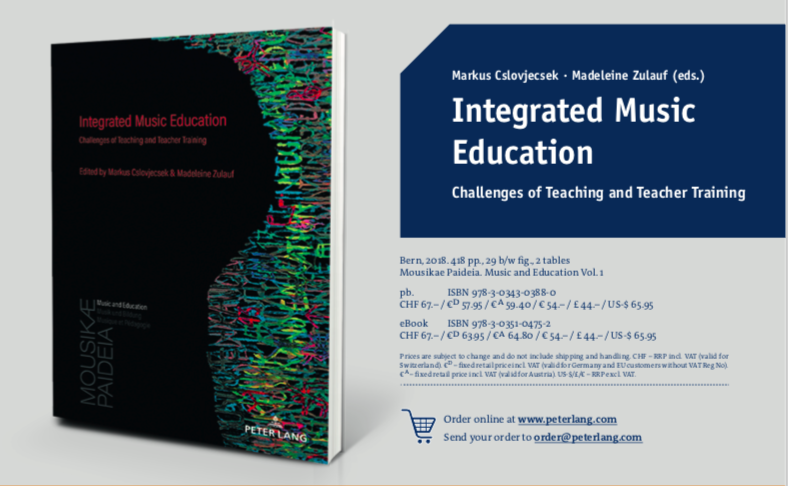 Indentifying and developing the aesthetic performative arts practice, and integrated musical and artistic pedagogies for professional education through sound and arts-centered teaching and curricula are at the very core of this thematic area of the cloud.